As far as Sims expansion packs go, Supernatural was one I’ve been waiting for since the old days of the original Sims. However, I must say I was slightly disappointed. The idea is good and although I’ve used vampires before, I’ve enjoyed creating fairies in CAS and practicing Alchemy with my witches. As I like creating whole neighbourhood stories and relationships, it has been hard for me to link these new beings in so far and I suppose, like with anything, I just need to get used to how to work the different classes. Also, the lunar cycle is an unusual addition. I know I can change it, but as a generalisation, I don’t want zombies coming and tearing up all my crops every few days. When I first encountered them, I thought it was cool, but now I just wish they would go away. 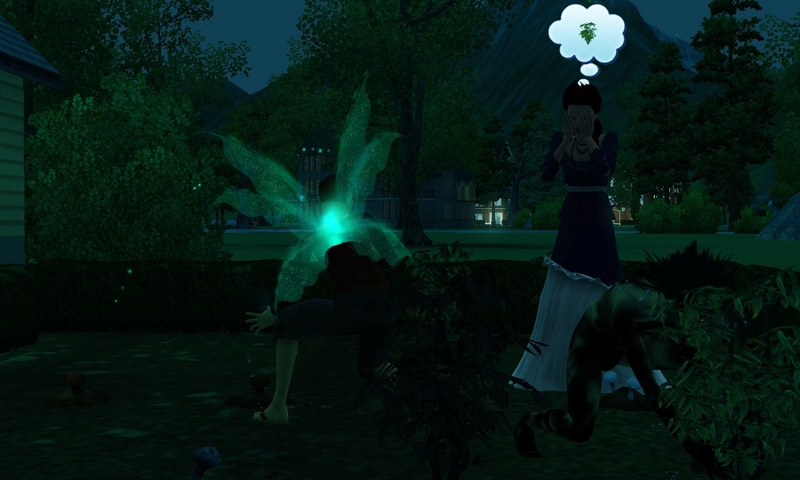 I would also have liked the fairies to be a little smaller than normal sims. Having said that, these are all minor preferences and there are good things the game has brought. As far as Sims 3 expansions go, it is not the best or the worst. The alchemy side is a good extra. 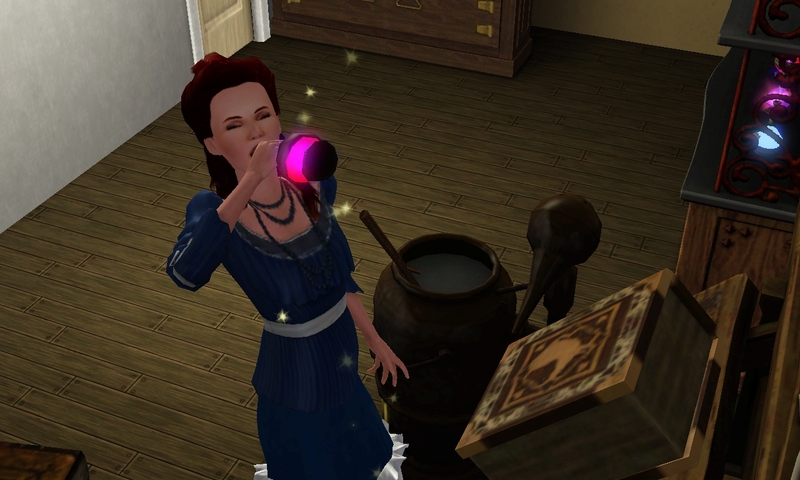 It is easy to level up in and although collecting the right ingredients can sometimes be easier than others, you can make some cool elixirs These can be sold at the consignment store too. Some are just fun, some mood elevators and others allow you make changes to the neighbourhood and gameplay of certain sims. The most pointless one I’ve come across so far is cloning myself for a short period. That didn’t do a lot and I could not control my clone. Others, such as one to make wishes give you more points for a set period, have come in very handy. The ability to turn werewolfism on and off as I please is also good. You are not stuck solely to the lunar cycle. I’m yet to turn anyone, but I’ve managed to scare a few people. I’ve only played on my laptop so far which does not have all my games installed onto it. This means I haven’t tried out the genie class, even though in a previous game I had a genie on my lot on my main desktop computer. I also haven’t used the ghost sim yet. Vampires I’ve given more of a miss than others as I’ve used them before in their more basic form with Late Night, but I still have one in my neighbourhood. Witches and Fairies have been my main calling and as I’ve said, I could create fairies for hours. Some of the fairy interactions are quite cool too, as every class has their own, personal interactions, but again, only for fun gimmicks. All in all, if you’re a Sims fan, get it. If you’re a fantasy fanatic, get it. Otherwise, I’d say save your money on this one and buy a more practical and realistic expansion like Ambitions instead.